The outline of the logo on the new logo designed by U.S. Parcel Service (UPS) in 2003 still retains the elegant logo of the old logo in order to arouse people's solemn commitment to the company's service quality. Then, what design elements are used to represent the high speeds advocated by modern society to represent the goods sent by the company can arrive safely in an instant? UPS's strategy is to add a light arc to the shield. It represents both a bow and an arrow that is flying after leaving the bowstring, thus indicating the speed and the guarantee of the arrival. The same oil company, the Sinclair oil company's logo is very different. In addition to the company name Sinclair, a prehistoric giant dinosaur was added to the trademark! 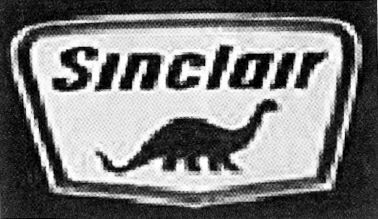 Since the 1930s, Sinclair Oil has adopted this dinosaur trademark. The oil came from the ancient times and was said to have been the fat of prehistoric giant beasts buried under the ground. It was decomposed for thousands of years. The original intention of Sinclair Petroleum, in addition to demonstrating this blood relationship between oil companies and dinosaurs, is nothing more than to tell everyone that their oil is made from crude oil in Pennsylvania. The emblem of the University of Phoenix, Michigan, USA (left) still retains the traditional aristocratic crest profile of the European and American universities in order to convey solemnity and elegance. The Phoenix bird logo (right) reveals a fresh atmosphere. . This is a phoenix with wings, the right-winged wings indicate that the bird is struggling to take off. This logo probably symbolizes that college students are just a "phoenix" who only wants to fly.